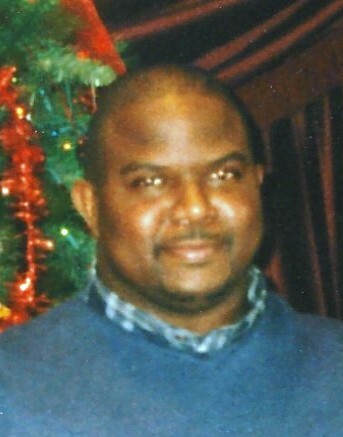 Steven Bernard Cochran was born on March 25, 1974, to the late Willie James and Neesie Cochran, in Abbeville, Alabama. Steven dedicated his life to Christ at an early age and joined Rocky Mount Baptist Church. He was a graduate of Abbeville High School, class of 1992. He later went on to college to become a diesel mechanic, which he spent most of his life doing, until his health declined. He was preceded in death by his parents: Willie James and Neesie Cochran; wife: Carolyn Glanton; aunts: Betty Crittenden, Lou Ann Johnson; uncles: Melvin Cochran, Bobby Joe Cochran, Alphonso Kincey, Walter Kincey, Robert Varner, Leon Johnson, and George Crittenden. Steven leaves to cherish his memories children: Adrian Cochran and Aden Glanton; one brother: James (Bibi) Cochran; one sister: Rhonda Cochran; one niece: Alexis Cochran; one nephew: Blake Cochran; mother-in-law: Annie Glanton; two sisters-in-law: Brenda Glanton and Janie Glanton; two brothers-in-law: Steve Glanton and Randell Glanton; six aunts: Jeanette (Otis) Johnson, Evelyn Varner, Barbara (Oscar) Peterman, Mary (Napoleon) Bradley, Chris Kincey, and Mary Kincey; one great-niece: Aubrey Robinson; step-mother: Helen Cochran; a special friend: Leticia Reynolds; a host of cousins, relatives, and friends.